Facebook’s latest data breach has far-reaching consequences for businesses and public relations practitioners. In 2013, a Facebook app called This Is Your Digital Life paid users to complete a quiz which was used to create psychological profiles. Roughly 87 million personal data profiles were obtained when friends of these users had their data harvested – without their express permission. If you want to check whether your data was accessed during the breach, check out Facebook’s tool. Around a year later data from the quiz users and their friends was sold to Cambridge Analytica, a political consultancy firm, and used to create targeted, political advertising for the Brexit and Ted Cruz’s 2015, and Donald Trump’s 2016 presidential campaigns. This isn’t just a breach of privacy – this is mass manipulation. Investigations surrounding the breach were incredibly serious, and Facebook’s CEO Mark Zuckerberg testified before members of congress in April. 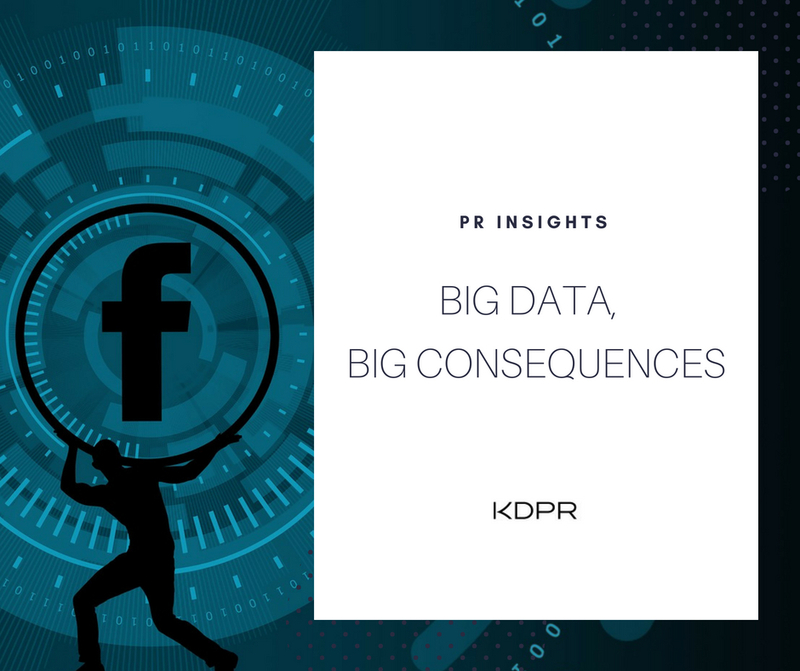 Public Relations practitioners aren’t generally considered data-scraping wizards, so you might be wondering why Facebook’s latest data breach has anything to do with PR. Let’s begin with this: We all know understanding your audience is key for executing successful, engaging strategies in public relations. For years, phone calls, focus groups, and interviews were used to gauge audience insight, but they were often small and unrepresentative. Big data changed all that. Large businesses and PR companies often rely on the analysis of ‘big data’ to understand their audiences. Facebook’s scandal prompted them to change their terms and conditions, tightening restrictions on what, and how much data can be collected. Not everyone relies on big data, but ultimately, practitioners in many industries, from marketing to PR will be limited by these changes. The public outcry following the breach has been a major wakeup call for platforms which handle user data. If you struggled through Facebook’s Business Tool Terms before the breach, you’ll certainly have more trouble with the newer, more complex version. The changes have been for the benefit of user privacy, which is incredibly important. Will Facebook continue to tighten the reigns on their data? This is certainly an issue to keep an eye on. With platforms scrambling to appear accountable and transparent, another major issue becomes apparent – the loss of public trust. Communicating with online publics who are inherently suspicious could definitely create problems for public relations professionals. To highlight just how wrong things can go online, let’s look at Mark Zuckerberg’s PR following the incident. Soon after his hearing in congress, social media was littered with ‘Zuckerberg Lizard memes.’ While it’s clear Zuckerberg has never been a natural communicator, his ‘in-human’ mannerisms weren’t attacked at such a scale, or turned into viral memes before the breach. This brings us to another important consideration for PR – are you equipped to respond to negative sentiment that goes viral? Because If Zuckerberg, with his obvious media coaching can be ripped apart online, so can anyone. It pays to be media ready, but having a crisis-management plan in place is just as important!